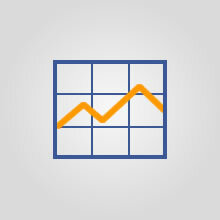 Hiboutik POS software is completely free for all basic features including the end-of-day report. In addition, you can subscribe with no commitment to the options described below (on a monthly or yearly basis). These services are not free because they require some important server resources, and they help us to develop and support the free version of Hiboutik. At Hiboutik, there is no hidden cost or any restriction when you use the free features. This option gives you access to advanced features in your Hiboutik account (store credit, kitchen screen...) and to detailled statistics on your business. 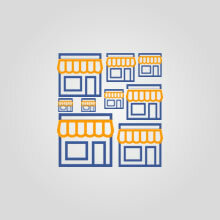 You will find everything you need to run your retail business and control your inventory. Hiboutik provides a host of charts and reports to help you better track your business and get all the information you need lightning fast. You can also use the powerful Hiboutik API, to create interactions with your favorite apps to streamline your business (like linking your website to your POS account). The option will cover the whole activity of your account (whatever the number of users, devices, or shops). For a yearly subscription, this option is at 99,90 eur. Manage all you stores in the same account. If you subscribe to the Premium option, you will have all your activity reports in one hand (and details by store). You must subscribe the multi POS feature at each new outlet. On a yearly basis, this option is at 99,90 eur. You can track all your shops with only one Premium subscription.